Whitesnake have announced their 13th studio album. Heralded by lead single Shut Up and Kiss Me, the legendary rockers will release 'Flesh and Blood' on May 10 via Frontiers Music Srl. "After the intense darkness of our last video, if anything, it’s 'light' snake, you know? We've got some really dark energy going on in the world right now, so we’re gonna write and record a fun, knees up, song about falling in love with a fabulous babe. You’re over-talking, over-compensating and she just looks at you, takes the reins and says, 'Shut Up and Kiss Me!' and that's it! My video director and creative partner Tyler Bourns and I discussed a great storyline for the video, which involves a surprise guest: my fabulous old white Jaguar. We ended up cleaning and detailing it, as it has been in storage since I moved to Lake Tahoe, then we dusted off my old turquoise silk jacket from the original Here I Go Again video and I was thinking, "man, this is going to be fun!" It’s a respectful acknowledgment and positive nod to the past, just fun stuff." 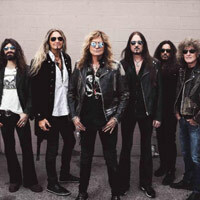 Joining Coverdale, Beach and Hoekstra on the album is Michael Devin on bass, Tommy Aldridge on drums, and Michele Luppi on keyboards. It was recorded primarily at Coverdale’s home studio in Lake Tahoe. Whitesnake will support the release with the Flesh and Blood World Tour, on which they'll play songs from the new record plus their hits. They also return to Download festival at Donington Park as part of a European tour this summer. 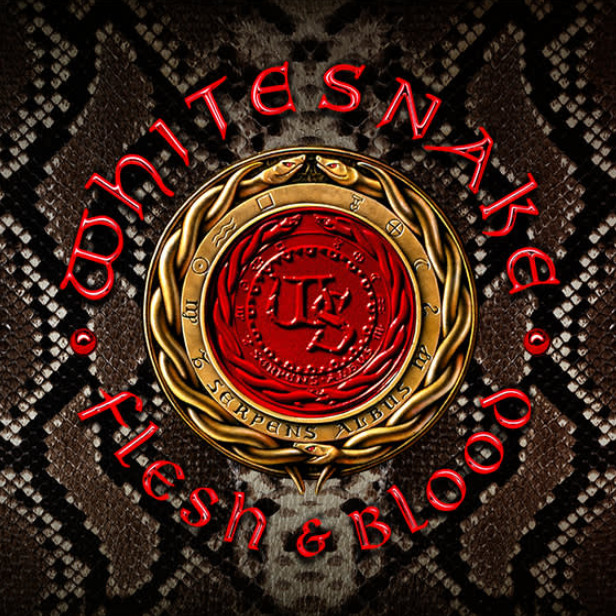 Click here to compare & buy Whitesnake Tickets at Stereoboard.com. Whitesnake have shared another track from their upcoming 13th studio album. This effort from David Coverdale's mob may seem like a certainty for the 'most unnecessary album of the year’ award, but his decision to rework some Deep Purple classics has actually resulted in an enjoyable hard rock record that, although not perfect, is nowhere near the travesty it could have been. 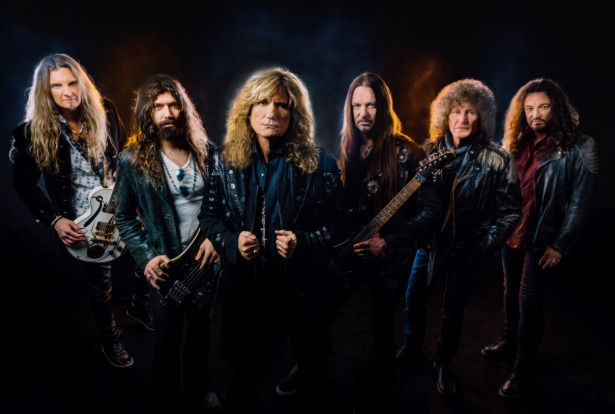 Whitesnake have posted a video for their new single, Soldier Of Fortune. The Rolling Stones will release 'Bridges To Bremen' this summer. Fleetwood Mac have postponed the remainder of their North American tour. The Eagles will perform 'Hotel California' in full for first time at two US shows. Santana have released a new single featuring Afro-Latin singer Buika. The Darkness will join Toto at their Live At Chelsea concert in London this summer.